Let’s get back to getting our stamping on! Today I have another 4 random Essie polishes to show you. 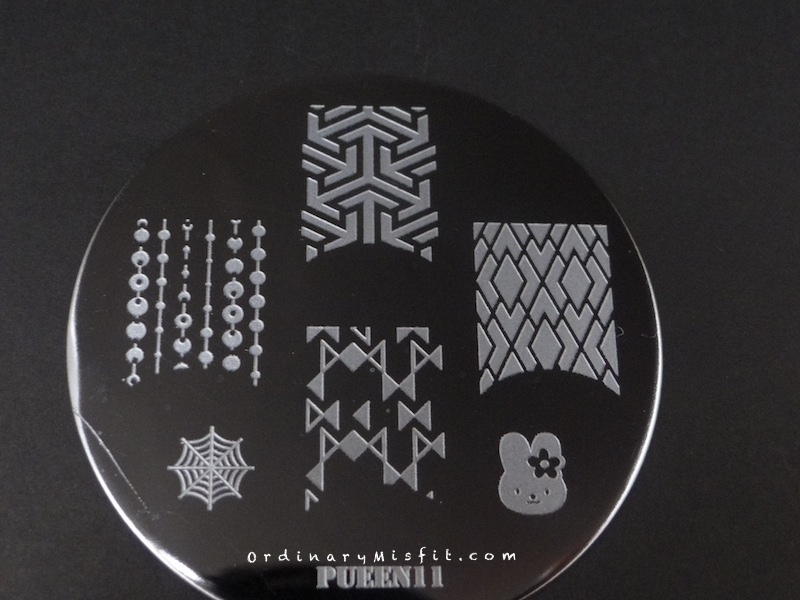 I have used this before in some nail art so I knew it would stamp well but isn’t it gorgeous? It shows up beautifully on the black and the white and stamps perfectly. This is quite dark so I didn’t expect it to show up well on the black but I did think it would do better than it has. It does show up on the white but the colour looks a bit faded and patchy. Now this was a surprise for me. This is basically a metallic and I thought it would do beautifully. It’s visible on both the black and the white but isn’t nearly as great as I expected. Another surprise. I didn’t think this one would show up well on either but look at it. It looks beautiful on the white and even shows up on the black. Not as great but workable. Stamps quite well too. What do you think? Do you have a favourite? I think Leggy legend is the real winner here but Tart deco was a good surprise. Do you want to see any of them stamped over a specific colour? Do you have an idea for a stamped design you would like me to do? Do you have any suggestions for changes or additions you would prefer on these posts? I would love to hear from you. Or if you want to choose the next 4 polishes let me know.